Jeff Doucette has been a recognizable face on television and in film for over forty years. He began his improv career in Chicago at the famed improv theater The Second City, where he worked with America’s foremost improv guru Del Close. Del also helped Jeff and his comedy partner Ernst Emling fine tune their stand-up comedy act which quickly became one of the best team acts in the country. In 1976, Jeff and Ernst landed in Hollywood and began to make their mark on a national platform, and in 1977, they made their first appearance on The Tonight Show, pinnacle of every comic’s career. 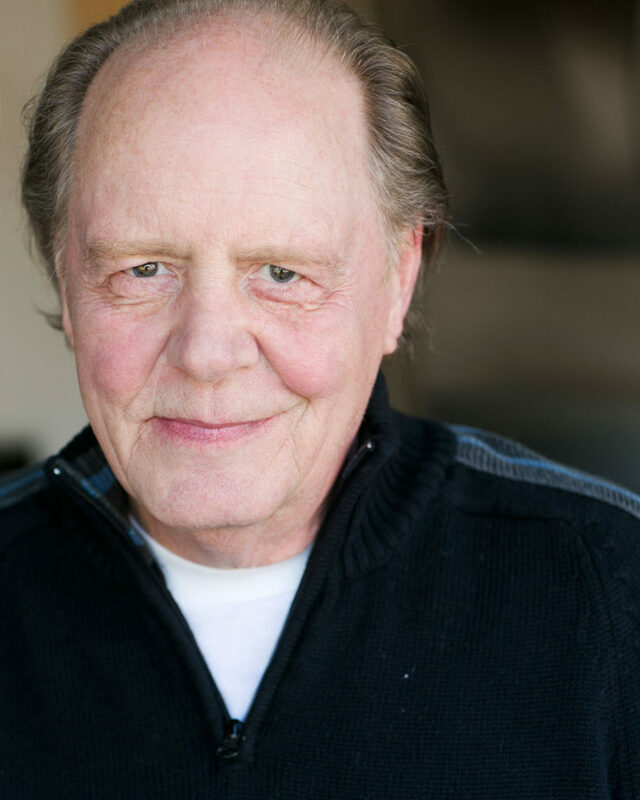 Jeff has appeared in over 250 episodes on over 70 different TV shows, and has played in over 35 films, dozens of commercials, and scores of stage productions throughout the country. He is the winner of the Los Angeles Drama Critics Circle Award for Most Outstanding Lead Performance in The Alliance Theater’s production of Rage, or I’ll Be Home For Christmas. In addition to acting on camera, Jeff has carved out a career as a voice artist. He has done many commercials and cartoons over the last 20 years including Scooby Doo, Richie Rich, The Smurfs, The Snorks, Spiderman, Darkwing Duck, Bobby’s World, Cow and Chicken, I Am Weasel, Teenage Robot, Ben 10, Grim and Evil, and the NBC primetime cartoon series God the Devil, and Bob, as the devil’s ever suffering assistant, Smeck. Jeff has been teaching improv for over thirty years. He became great friends with Gary Austin, founder of The Groundlings, and started by taking over his classes when he was out of town. Over the years, he has developed a personal approach to improvisation that actors find extremely down to earth and uncomplicated. Actors learn to trust the truth of the moment and get rid of the critic in their heads. His students learn that the improvisational approach can work for them in their daily life as well as helping them to find their personal acting process. In the early 80’s Jeff became friends with Julia Cameron (The Artist’s Way), and would walk through the Hollywood Hills with her almost every day for a year or so, talking about life, love, spirit, philosophy, writing, and religion. At the same time, he attended Marianne Williamson’s very first teaching workshop on The Course in Miracles at the Philosophical Research Society in Los Angeles, and would occasionally attend meetings and speeches by various gurus and spiritual leaders with Marianne. He is quoted and/or mentioned in a number of books, and is a published playwright for his improvisational comedy “Without Annette”. In 2001,Jeff and Saba fell in love and began teaching as a team at Asilomar in Pacific Grove, CA, and churches, meeting halls and corporate events throughout the Southern California area. Both licensed by the State of California as Spiritual Practitioners in the United Centers for Spiritual Living, and are active as teachers, counselors and as teen and ‘tween group leaders. They have introduced hundreds to the joys of improvisation as a path for spiritual and self discovery. For more on Jeff’ acting career, see his IMDB page. 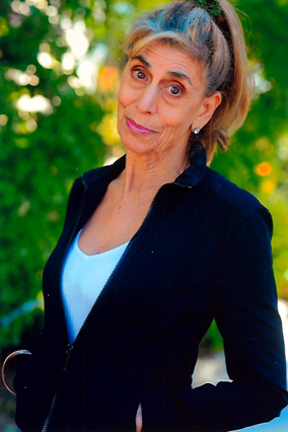 Saba Moor-Doucette (pronounced Say-bah) comes from a show business career, and is an award-winning writer, producer, director, actress, stunt girl, and stand up comedienne, with over 35 years’ experience performing and teaching improv. She has entertained the troops in Vietnam with her own comedy variety show, and even did a stint in the circus. At 75, she is currently the five time undefeated INBA International Senior Bikini Diva Champion. She became a licensed Personal Trainer at the age of seventy, wrote four books on health, fitness, and anti-ageing, using the mind body connection, and taught workshops based on her book, Change Your Thinking, Change Your Body. She is also featured in Heidi Diouf’s new book, The Superpower Playbook as a super hero in life. She is truly a force to be reckoned with. Saba is also the creator of the Think It, Do It, Be It Method, and has just finished her new book, Fit for Life, with Saba Moor-Doucette’s Think It, Do It, Be It Method, scheduled for release in the summer of 2018. Learn more about Saba’s fitness and anti-aging methods and workshops at www.SabasFitForLife.com. Saba has done training sessions with many recovering addicts in large groups, in workshops, and in one-on-one sessions. With Jeff Doucette, she teaches their unique brand of "Life Play" to corporate groups, spiritual groups, teens and tweens, as well as prisoners in the Ventura County prison system. She has spent over thirty years attending Alanon, Narcanon, and Coda meetings in support of others in her life. ​She believes that laughter, love, and caring are three things that will help anyone feel better about themselves. Saba is licensed by the State of California as a Spiritual Counselor and Metaphysical Practitioner. Change is good -- really, really good. As in the kind of good that makes you shout a big yes from the inside out. Schedule your first class for a taste of delicious transformation!